plotted at the mean position of their grandparents’ birthplaces. Cluster names are in the side-bar. This article is actually a sub-chapter of my published book ‘The Celts‘ (Γαλάτες), Periscope publ., Athens 2008, available only in Greek. After the sharp diminution of the Celts of Central Europe by the Germans (58 BC) and the Romans, Greater Gaul, the country that lies between the Rhine, the Alps and the Pyrenees, became the main Celtic area in mainland Europe. Gaul (as it is usually called for short, because of the Romans), Noricum, Raetia (partly) and Northwestern Pannonia in Central Europe, Gallaicia (Galicia), Asturia and Cantabria in the Iberian peninsula, and finally the British islands, were the last independent Celtic areas. Shortly before the Roman conquest of Gaul (or Galatia in ancient Greek) by Julius Caesar, about sixty tribes shared its territory. The largest of these tribes (the Arverni, Aedui, Pictones etc.) occupied each one a territory of about 15-20,000 sq. km., with a population of up to 250,000 inhabitants. The Celtic tribes were divided into sub-tribes called pagi. 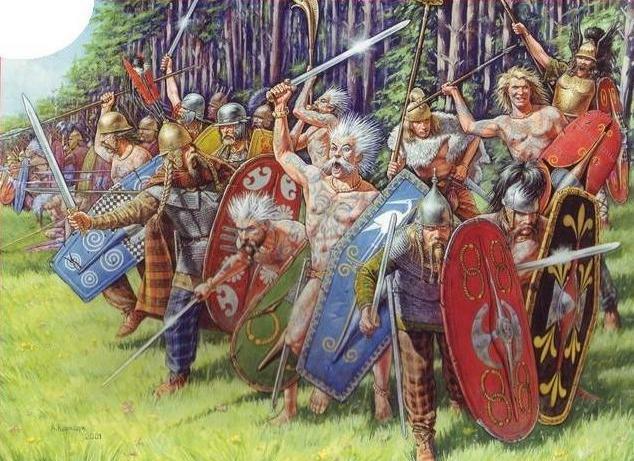 The 60 Celtic peoples of Gaul included a total of 300 sub-tribes. Many of these pagi were originally independent tribes which were gradually incorporated in the largest ones, either by conquest or by conciliation. The linguists have estimated that the tribes of the Volcae, the Helvii (close relatives of the Helvetii of modern Switzerland), the Turones, the Nervii, the Suessiones, the Veneti, the Venelli and the Aulerci were the oldest that were formed, because the etymology of their national names is rather difficult. 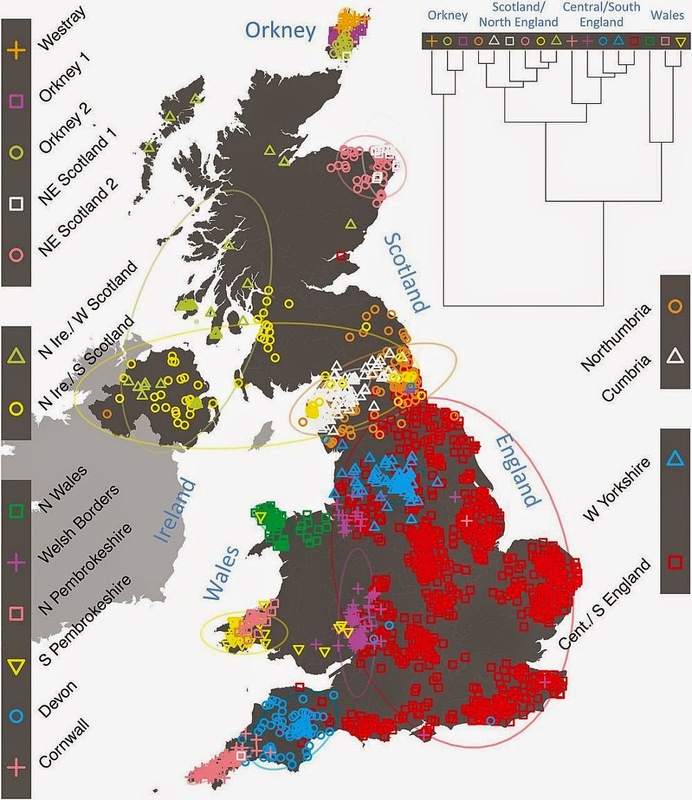 Some of these tribes were probably formed initially in Central Europe, mostly in the north of the Alps (the Celtic/Gallic cradle). The peoples with tribal names of numeric type are considered to be later tribal formations, e.g. The Remi (meaning the ‘first ones’ in Gallic Celtic), the Petrokorii (the ‘four tribes’) the Vocontii (‘twenty clans’). The same goes for the tribes whose national names are annominations or epithets, e.g. the Ruteni (the ‘blonde ones’, a Proto-Indo-European verbal type found today in the names of the Russians and the Ruthenians of Eastern Europe), the Leuci (the ‘bright ones’, like the Greek ‘leucos’ meaning the ‘white’), the Belgae (the ‘thunders’, Belgians), the Nemetes (the ‘sacred’), the Aedui (the ‘fiery’), the Pictones (possibly the ‘painted ones’ like the Picts of Pictland/Caledonia, modern Scotland), the Caleti (the ‘hardened’), the Lemovices or Lemovii (‘warriors of the elm’, which was their totemic tree) the Medulli (the ‘mead drinkers’) etc. Celtic warriors in an impressive artwork. Note the two naked Gaesati/Gaesatae warriors in the frontline, with their hair stiffened with lime or lemon juice. Another warrior blows the ‘carnyx’, the Celtic war trumpet (Copyright: Zvezda /Karatchuk (artist)).